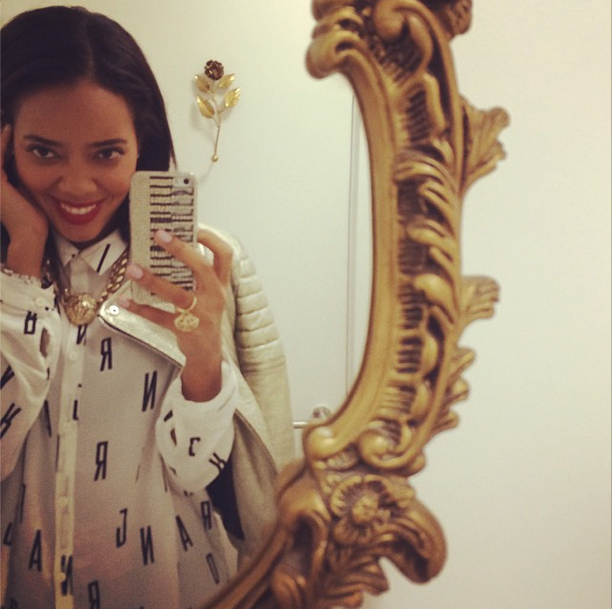 Angela Simmons arrived in London and she Instagram’d a flick of herself wearing a Marc Jacobs silk blouse. Toya Wright hosted a fashion show in Dallas, Texas. For the presentation, she paired a fitted blue dress with $1,295 Christian Louboutin Pitou Cutout Suede/Python Platform. Yandy Smith was photo’d in NYC making her rounds. She wore an ensemble from her collabo clothing line with Simply Intricate.